Strongly invested in its mission to developing and enhancing lives of the people of Oman, QBG ECHOES, Qurum Business Group’s Corporate Social Responsibility initiative has launched its first community outreach program from Al Khabourah. 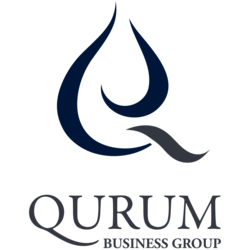 The project that started on November 10th 2016 includes undertaking the maintenance work of three educational institutions and the renovation of one home, both of which projects will last over a period of one month.Qurum Business Group’s Corporate Social Responsibility initiative has launched its first community outreach program from Al Khabourah. The project that started on November 10th 2016 includes undertaking the maintenance work of three educational institutions and the renovation of one home, both of which projects will last over a period of one month. QBG ECHOES was created to build partnerships between QBG’s business units and the local community and encourage employees to give back to the community. Falling under the pillars of Education and Community Outreach, the project is aimed towards enhancing the facilities of three primary education schools including Al Huwari bin Malik, Badr Al Kubra and Al Fikr Al Sami, as well as meeting the needs and demands of the local community. The expected date of completion of the works is mid-December 2016. In addition and in line with QBG ECHOES objectives, a team of volunteers from QBG Contracting finished cleaning and maintenance work at the Seeb Royal Oman Police Nursery School. QBG ECHOES consists of five different pillars: Education, Volunteerism, Community Outreach, SME’s and Environment Conservation. With the aim to collaborate and support the development of healthy and sustainable communities, they aim to increase the quality of life within the local communities.